For runners, fall means big-time marathons with Adirondack, Hudson Mohawk, New York City and Philadelphia issuing their siren calls. But what if work, vacations and hot weather derail your plans? Or what if you are simply unwilling to commit to lengthy training schedules? Then sample some of the following September 5Ks. You can dislodge your summer doldrums, reap the rewards of the crisp air, and aim for an energized 5K experience! Labor Day celebrates American workers and what better way than to honor our four-legged partners as well? On Saturday, September 2, pay tribute to track horses at the Run for the Horses 5K Run/Walk, which benefits Saratoga-based non-profits that rescue and provide second chances for retired racehorses. You can meet and greet retired race horses who, being athletes themselves, may take a personal interest in your race. Walkers and canine companions are welcome as well, and there is a Kid’s Half-Mile Fun Run prior to the main event. 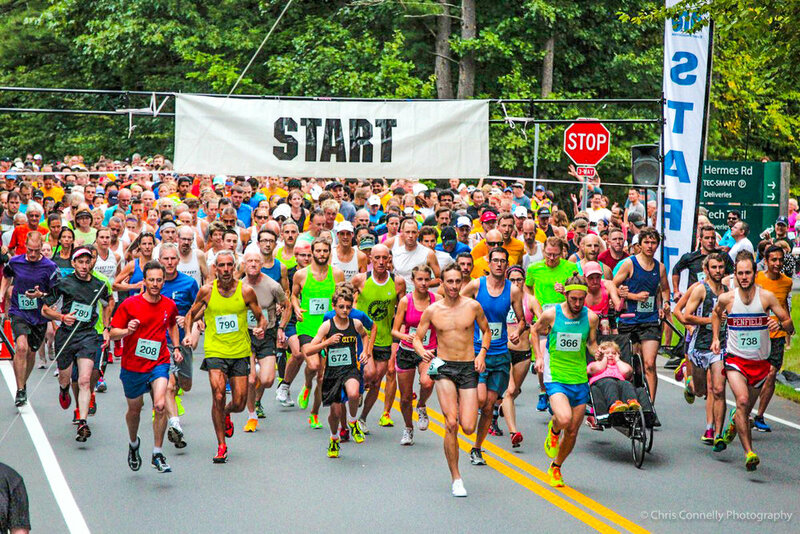 No matter what your running group, the Malta 5K on Saturday, September 9 fits the bill. It is part of the USATF Adirondack Grand Prix Series, Fleet Feet Championship Race, and Saratoga Stryders Grand Prix, so test yourself against top level competitors aiming for grand prix points as well as cash prizes. New this year, there is a “friendly business challenge” team competition among employees of major sponsors with top teams winning a donation to their favorite charity. Rock Your Fitness of Malta has been the perennial top three team for the past few years. Also on September 9, consider the Camp Challenge 5K Trail Run/Walk (or 30-mile Bike Ride) with 100% of profits sending children coping with a serious illness to attend Double H Ranch free of charge. This is your chance to help a child who might otherwise not have the opportunity to experience the outdoor freedom we sometimes take for granted. The following day, you can run in another nice community at the 38th annual Dunkin’ Run, hosted by the Sidney Albert Albany JCC. 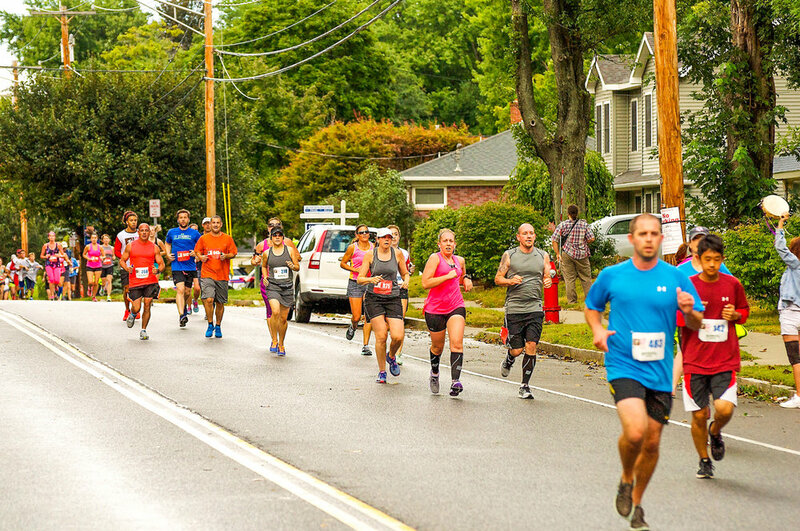 On Sunday, September 17, you can choose between a 5K, 10K or 15K through the tree-lined streets and sidewalks of the lovely Whitehall neighborhood of Albany, starting and finishing at the JCC. The Munchkin Run kids’ half-miler takes place soon after the main events. Also on Sunday, September 24, come to Clifton Commons for the Nick’s 5K Run to be Healed in Clifton Park. There’s also a Family Carnival, a special day for everyone affected by cancer to join together and make a difference in a child’s life. In 2016, Nick’s Fight to be Healed Foundation granted over $100,000 to The Melodies Center at the Bernard & Millie Duker Children’s Hospital at Albany Medical Center, and to local families struggling to heal their children. This year’s run/walk and festival honors five-year old Lucas Santoro who was diagnosed with leukemia when he was two years old. Short and sweet may be the game-changing approach you are looking for this season. And with less of a time commitment, you can target several of these races unhampered by a lengthy recovery period.